New Janta Engg. Works & Fabricators company is a major manufacturer and supplier of iNdustrial Axial Fan in muzaffarnagar (india). the industrial axial fan has an ms body and six blades of aluminium are used for the air required. a 2 h.p. electric motor is used for the working of the blades of the industrial axial fans. 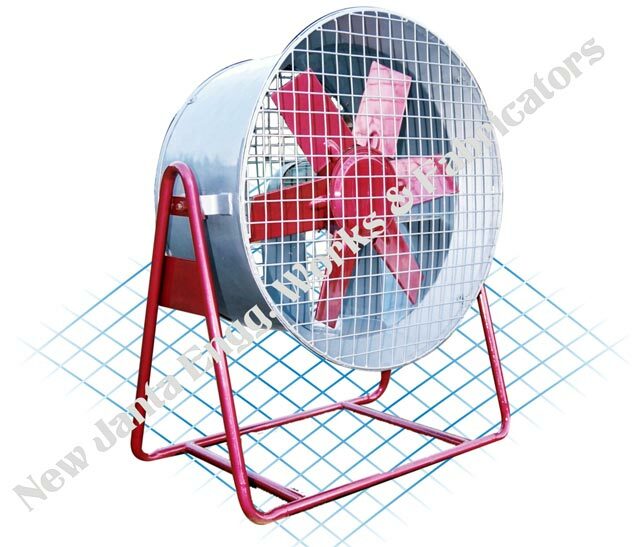 the industrial axial fan is known for its simple working, long life, low maintenance and excellent working.we are the best Industrial Fans Manufacturer in india we provide these industrial fans in very affordable price.